You are here because of your Samsung Galaxy SII i9100G is no rooted and you want to unlock all potential of your smartphone, and so here at this how to article I will show you guys the fastest, easiest and safest method to root your Galaxy S2 i9100 or i9100G including the Galaxy S2 i9100GDZKH4 which I already own and rooted successfully using this method, I found out that this method is very easy and safer than using Odin tool, also it work almost with all Galaxy i9100 versions. So lets get started, the Samsung Galaxy S2 is a very powerful smartphone on its line until now including a dual-core processor and lot of features, so it deserve rooting and having a full control of the phone hardware like overclocking and modifying the system parameters, also the root process will allow you to install unofficial custom ROMs, and right now there are Ice Cream Sandwich ICS ROMs available for the Galaxy S2 running stable. Note: The rooting process will void your smartphone warranty, and GuruHT is not responsible for any problems and/or damages by following this rooting process. This tested and work on Android version up to 2.3.5 and not working on Android 2.3.6. Now lets begin with what you need for the root process. You need first of all to download the DooMLoRD's Easy Rooting Toolkit zip file over XDA forum over HERE(credits goes to DooMLoRD). 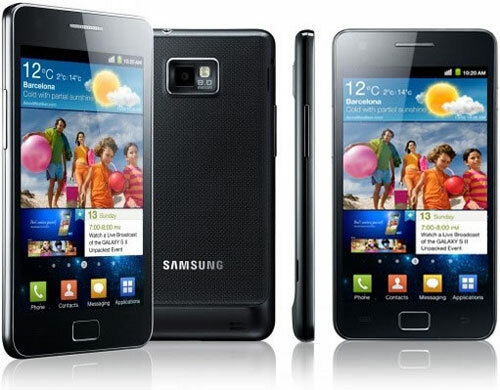 Now Download Samsung Kies over HERE, install it on your PC and don't run it. Then on your smartphone go to settings->Applications->Development and tick USB debugging, also go to settings->Applications and tick Unknown sources. Now restart your Samsung Galaxy S2. On your PC open windows task manager and end the tasks ADB.exe and all KIES related tasks running (anything with Kies and ADB name running). Now the point of this step is to load more than 500MB of apps on your Galaxy S2 RAM, to do this run as many apps as you can on your smartphone (to check used RAM keep pressing centre button-> task manager ->RAM) . That's all now your phone is ready for the root process, just extract the Toolkit zip file, connect your smartphone, wait for driver to install and finally run "runme.bat", press enter and wait, this may take some minutes. That's it, your phone must restart and you get superuser access to your smarphone system, if you have any problem please let me know on the comment box. 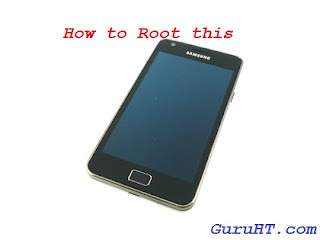 how to root my galaxy s2 ? what do you mean install adb drivers? what is that? If you want to install ADB driver and you cant, just do some google "ADB driver for Galaxy s2"
do i install the kies program or what? Where I can download version 4.0? we will post an article about how to install ICS on i9100G with the release, stay tuned..
but the icon of super user is not shown anywhere, and it says busybox is missing? mine is 2.3.4 after everything is done the icon is no where to be found, I'm i missing something? ok after resetting my s2 and reroot progress again everything is on a right path and saw the icon but its green icon super user not black?? what does it means? i'm rooted?